If you are an advertiser that runs an affiliate program on Rakuten Affiliate Network, then this post is important to read. With Q4 officially under way, it is time to start planning for the key online shopping days leading up to Christmas. Getting your deals/coupons in front of your affiliates will be critical and I will show you how to do that with a step-by-step guide to using RAN’s Deal Dispatcher tool. 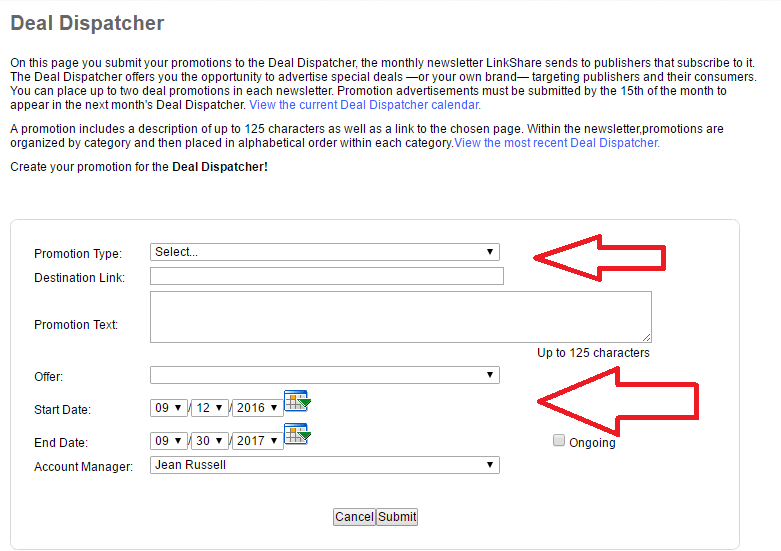 The Deal Dispatcher is a monthly newsletter sent to subscribing publishers that allows you to advertise special promotions and even publisher promotions (ex. Commission increases, bonuses, etc.). Log in to your RAN merchant (advertiser) account. Navigate to and hover over “Messaging” in the top navigation and click “Deal Dispatcher”. All deals must be entered before the 15th of the month. You can pay a flat fee and be placed as a “Featured Promotion” To inquire about this just contact your RAN account rep. Promotion Type – use the drop own menu to select the appropriate promotion. The options include: consumer – coupons, consumer – free shipping, consumer – sales/percentage off, publisher – increased commissions/return days, publisher – new creative/link type, just to name a few. 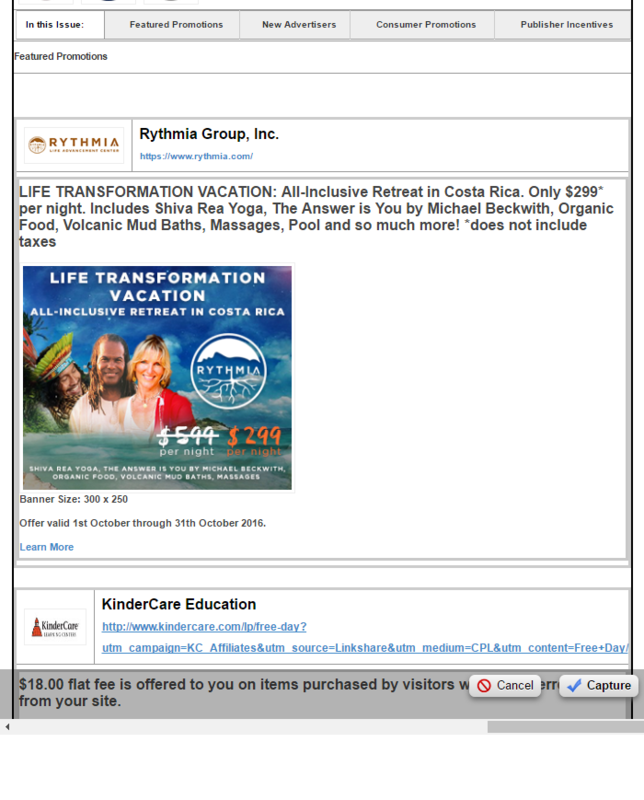 Destination Link – It could be the homepage or a product specific landing page. The link must properly correspond with the offer being entered. Promotion Text – there is a 125 character limit, but be as detailed as possible and make sure the deal is worded so that it cannot be interpreted a different way. Offer – This is the offer going to be used for publishers (aka – terms). Will you be using the baseline offer or create a completely new offer for this promo? Stat and End Date – make sure to make the deal valid for at least 30 days so that affiliates who may have missed it can still act. Once everything is filled out, hit “Submit”. If anything is wrong it will let you know what needs to be fixed. If you want to see a sample of the Deal Dispatcher you can do so by clicking the “View the most recent Deal Dispatcher” (you must be logged in to your RAN account) link . Below is a screenshot of a recent Deal Dispatcher newsletter. This is just one step in the process to making sure you are optimizing your affiliate program for the upcoming holiday season.